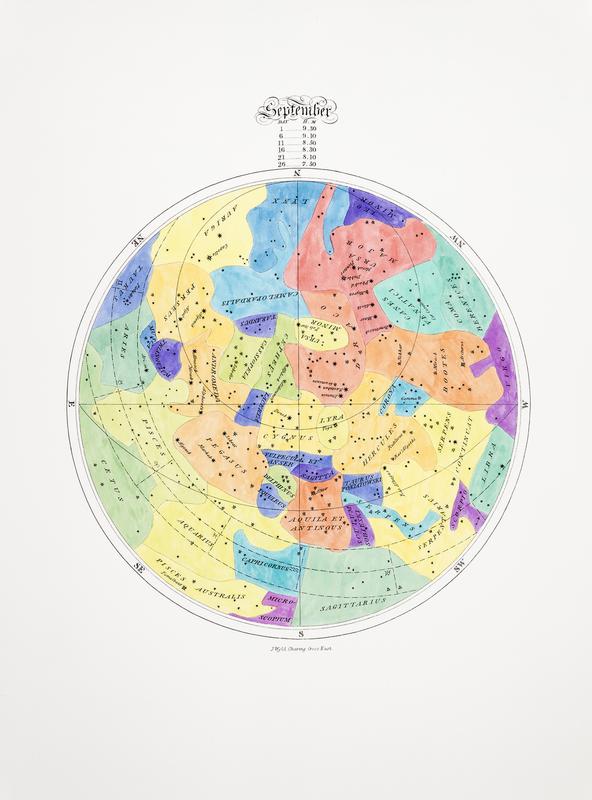 Star Values (12 months) is a series of hand coloured prints derived from twelve maps from the 1800's. 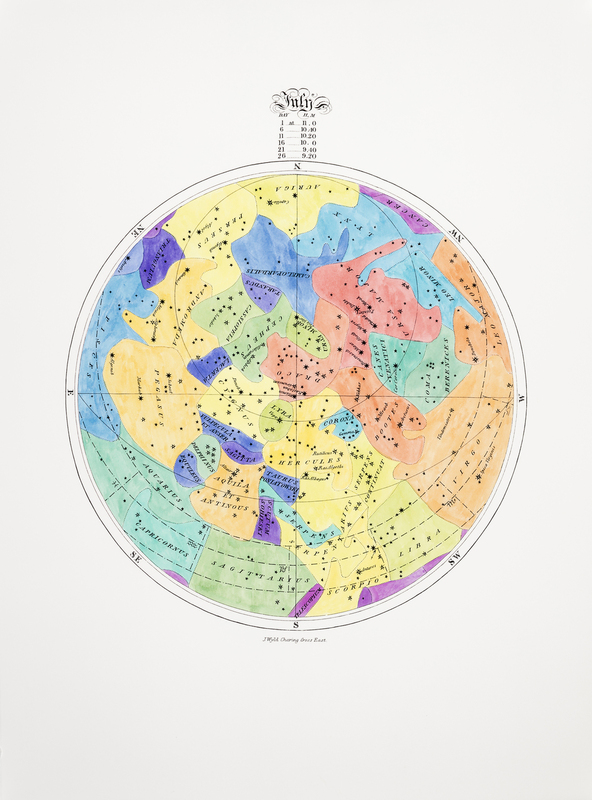 The original maps, taken from an astrology atlas, depict the major stars as seen from earth and include the imaginary boundary lines that divide the skies into the constellations. By interpreting these areas to be “property boundaries”, a value system is then applied to the prints based on the number of stars and the light magnitude of the stars within a territory. 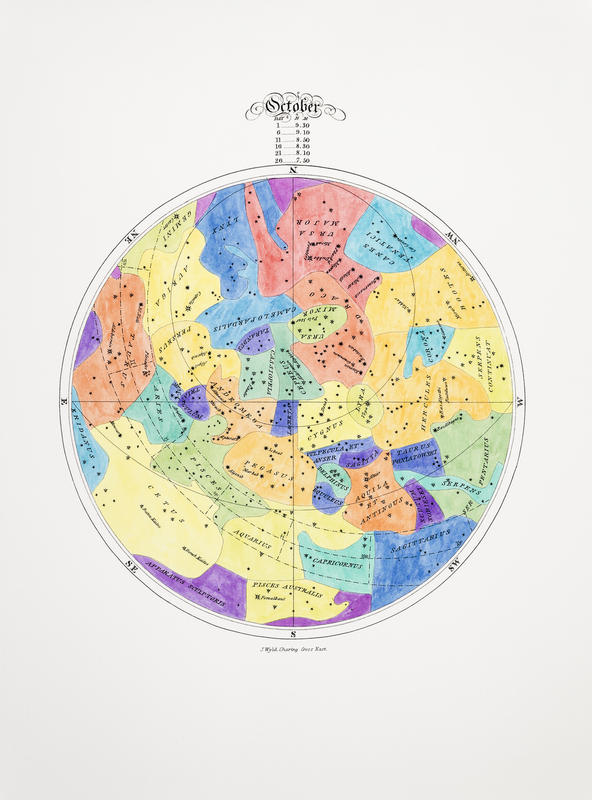 The choice of colours is akin to most modern real estate maps in which warm colours like red, then orange and yellow denote a higher importance or value than cooler colours like green, blue or violet. This same hierarchy of colours was established by Sir Isaac Newton in reference to rainbows. While the black lines of each map are printed as silk screens, the various colours are applied by hand to each map in the tradition of early map making.